I have been stamping and using Stampin’ Up! products for over 15 years. During these years, I have learned a lot of techniques and accumulated a lot of supplies. I love to add sparkle and embellishments to my cards. Stampin’ Up! 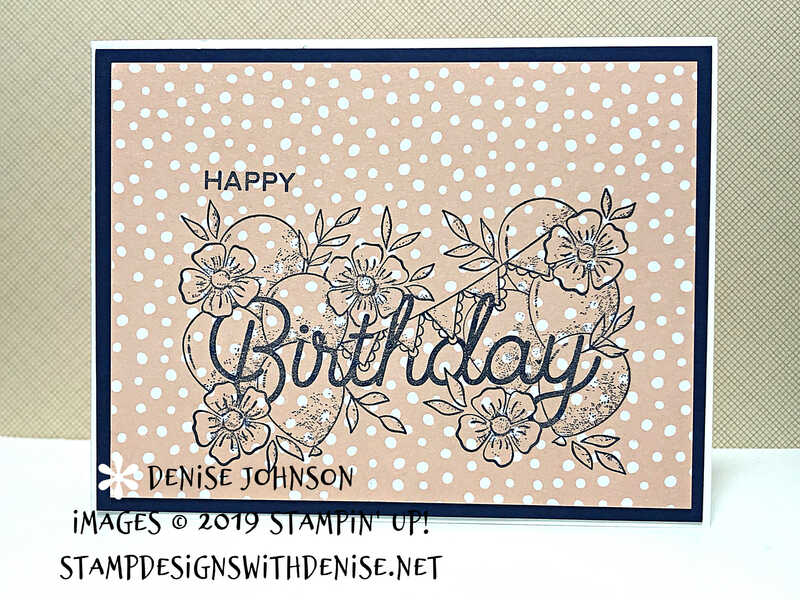 has started a new challenge called – #simplestamping. This challenges all of us to go back to the basics – stamp, ink and paper. It has been fun creating cards with only these 3 products in mind. 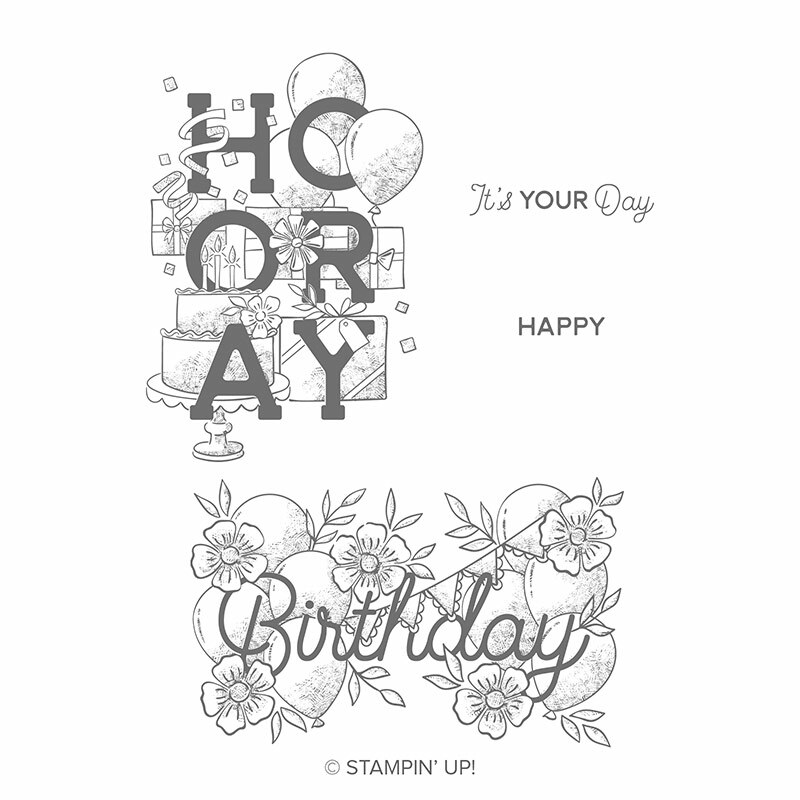 The Birthday Statements stamp set has 2 big stamps that are perfect for #simplestamping. In the cards below, I added a layer of Designer Series Paper for an extra shot of color.